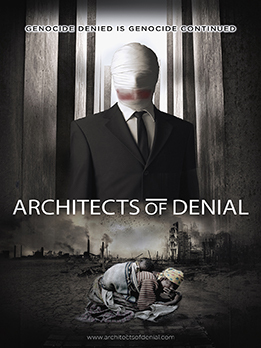 From Darfur to Kurdistan, Cambodia to Syria, Azerbaijan to Armenia – Architects of Denial is a first person account of genocide through the eyes of its survivors. Also included are several experts who graphically illustrate the real connection between its historical ‘denial’ with present day mass exterminations in conflict zones around the world. This film warns that those responsible for genocides who are not brought to justice and confronted with the truth of their crimes, will only set the stage for more worldwide massacres in the future.